Every item we manufacture here at TUSTING is designed to give you years of enjoyment. So just imagine the delight of a beautiful, full-grain leather bag that’s hand-crafted especially for you. Our bespoke service, available across our entire range of bags, offers you the chance to work with our talented team to create a fully personalised creation you’ll cherish forever. You’ll choose every customised detail, from the leather type and colour to lining fabric and fittings. The result? A one-off TUSTING bag made to your exact specifications. 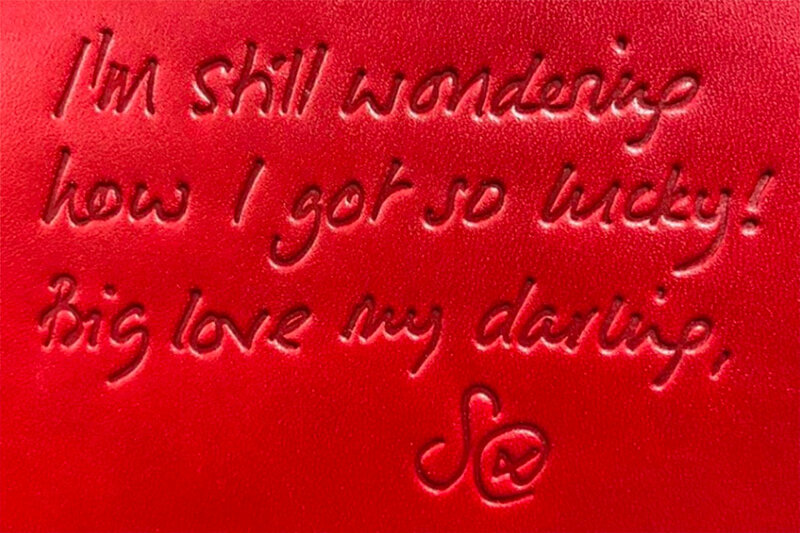 We can also finish your unique piece with a personalised engraving – anything from a classic monogram to a handwritten message. This is a particularly popular choice when our items are given as gifts. 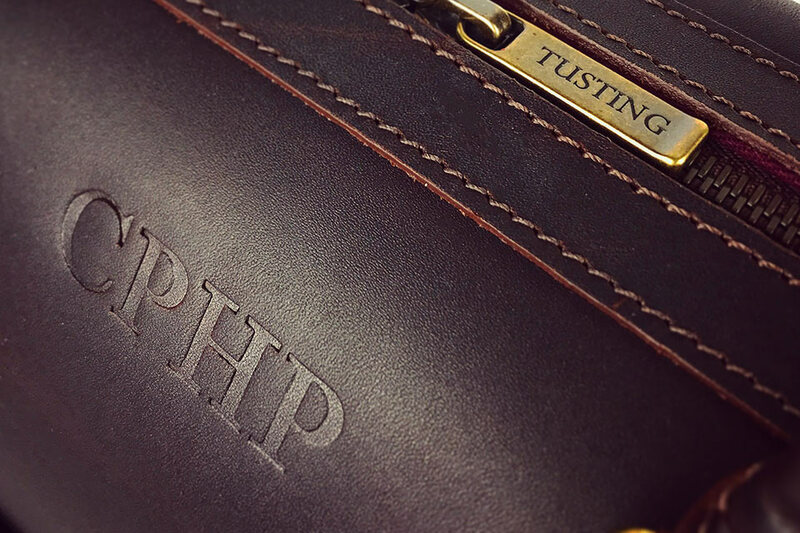 Your TUSTING can, with care, last for very many years, so what better way to preserve the sentiment behind your purchase than with a bespoke leather engraving? Our message engraving service is a wonderful way to transform your TUSTING bag into a completely unique item. Our customer care team will guide you through the size, positioning and exact look of your personalised engraving to ensure you get the perfect result. Contact us to discuss adding your own unique touch to a beautiful TUSTING bag. In addition to our range of standard customisations, we also offer the facility to draw from our archive of styles. Perhaps you had one of our very early bags and would like another just like it, or maybe you just missed something that has more recently been discontinued. Either way, we’ll do our utmost to help you realise your wishes. Just give us a call to get started. If the years have caught up with your beloved TUSTING bag, and it’s finally had one adventure too many, we can help. Our repair and refurbishment service is here to care for your bag for as long as you do. So whether the daily commute has left its mark on your briefcase, or your new puppy thought your handbag was a wonderful chew toy, we can help. Every TUSTING bag is unique, which is why we take a completely individual approach to the leather repairs and refurbishments we carry out. If you’d like us to take a look at your bag, please email us with your concerns, and include some photographs so we can see exactly what the problem is. Some repairs are a quick fix, while others may need us to take the bag apart. But whatever the issue, we’ll always do our best to help.